If you're reading this, I'm assuming you know about the healing power of pets. We've all felt it when we've been physically ill, sad, or even suffered from anxiety or depression. I've spent most of my adult life wrestling with anxiety and my cats have been there for me every step of the way. 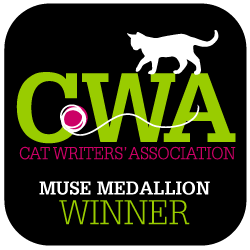 Their warm presence and healing purrs should be certified by the FDA. In fact, studies show spending time with a pet reduces pain, anxiety, depression, and fatigue for people with a wide range of health issues, and even those living in long-term care facilities. Makes sense, right? Purina knows pets, and I know -- based on the amount of time I've spent at Purina events -- they care deeply about the human-animal bond. I wasn't at all surprised to learn they'd partnered with St. Louis Children's Hospital to create the Purina Family Pet Center. What began as a request from a patient, turned into a significant piece of healing and joy for the children staying at the hospital. 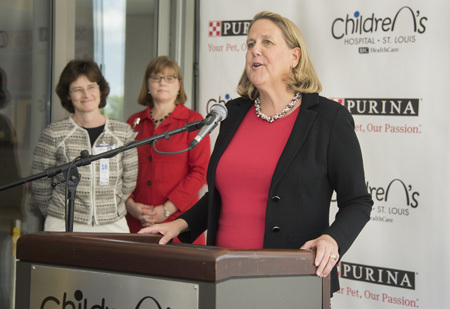 Purina enthusiastically donated $450,000 toward the construction and staffing of the 300-square-foot center, which makes it possible for a child's pet to visit them, something unheard of in most hospitals. In fact, this is the first center of its kind in the region, and the fourth in the world! Nina Leigh Krueger, Purina president. Photo courtesy of Purina. 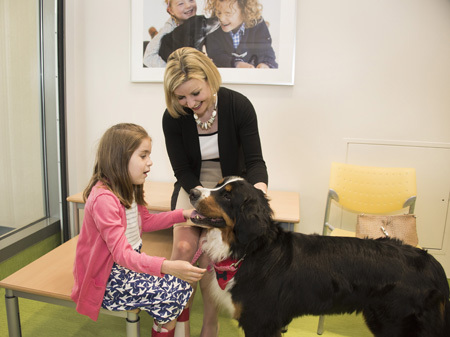 "At Purina, we believe that people and pets are better together, and our friends at St. Louis Children's Hospital clearly share our belief, said Nina Leigh Krueger, Purina president. Our goal for the Purina Family Pet Center is to bring joy and comfort to children and their families by helping them reunite with their pets during their stay." I hope other hospitals and long-term care facilities follow Purina's lead and create similar centers to bring patients and pets together. Modern medicine can work wonders, and the ability to connect with a beloved family pet brings immeasurable comfort to families on the healing journey. I was compensated to help spread the word about The partnership between St. Louis Children's Hospital and the Purina Family Pet Center. Catladyland only shares information we think would be of interest to our readers. The opinions are our own.